I’m on a mascot kick, I guess. Yesterday I ripped the Northern Colorado Bears because they named their mascot Klawz. So dumb. Today, I have a new obsession. I love small town. I love minor league baseball. Combine the two…gems await. Such is the case with the Richmond Flying Squirrels, the Double A affiliate of the San Francisco Giants. I hate the Giants, but I love me some Flying Squirrels. 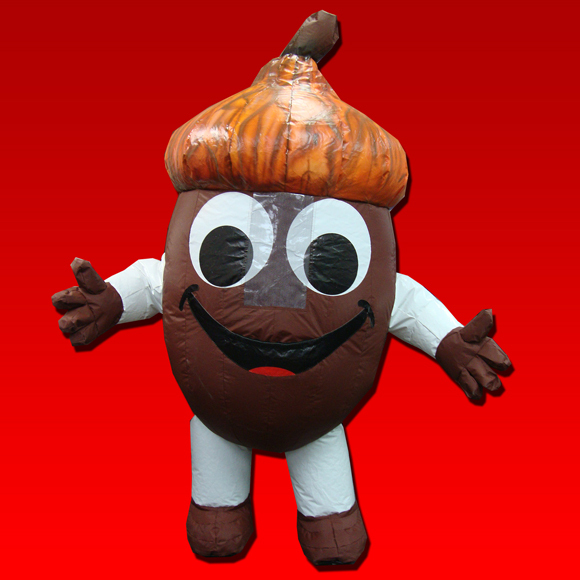 Minor league baseball is the best… always coming up with wacky promotions and mascots to get fans in the stands. So, the Richmond mascot’s name is Nutzy, named during a fan contest a couple years ago. Yup. Nutzy. Anyway, this guy is nothing more than a modern day suped up version of Mighty Mouse. Try to tell me I’m wrong. 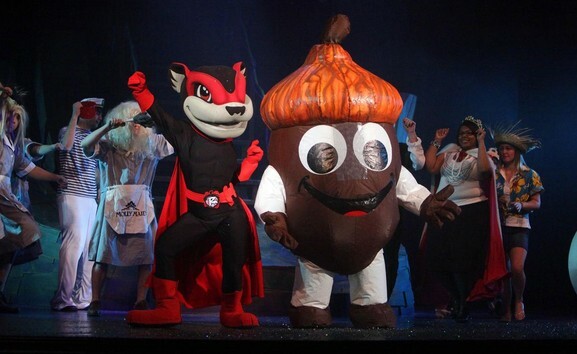 Anyway, I guess that Richmond felt every good super hero mascot needs a sidekick, so they held a contest that received over 3,000 votes to name their new inflatable sidekick to Nutzy. The winning name? Zinger. That’s entire blog in and of itself… neat name! Zing! Meet Zinger. The fans are the real winners here, folks. Endless zingers and nut jokes await. I repeat, I love small town, and I love minor league baseball. Oh, and I love nuts. This entry was posted in Baseball, Basketball, MLB, NCAABB and tagged Flying Squirrels, I hate the Giants, Mascot naming contest, Mighty Mouse, Minor league baseball, Minor League Baseball Mascots Rule, Northern Colorado Bears, Nutzy, Richmond, Richmond Flying Squirrels, San Francisco Giants, Zinger, Zinger and Nutzy. Bookmark the permalink.